Well, the programmers are very popular position around the world. Along with country’s development, technological development, programming industry needs more and more talents programmers so that may satisfy demand of development. You are interested in becoming a computer programmer? Let us walk in to programmer’s job and at the first know about the basis situation of programmer. The most of employers would like to hire the computer programmers as qualifying a bachelor’s degree in computer science or related field. Certainly some employers also employ trainees and the people just graduates from vocational schools. For those who have not received formal college programming training, a private college called the Coding Institute has grown up and these private institutes are more popular sometimes. The coding Institute provides systematic and relatively short-term programming experience. The best model for the programmers is colleges or academies which may offer low tuition or tuition free. Certainly, after graduate then for a percentage of salary to pay to the colleges when you find out the job. Not all employers need a certificate from employee for a particular programming language which apply in the company, but it is strongly recommended. Nowadays the popular programming skills are PHP, JSP, Database Techniques and so on. Computer programmers write code by using computer language, such as PHP, ASP.net, JSP and so on. Computer programmers generate commands for computers to produce valuable outputs. They work closely with IT staff, Project managers and end users in organizations or customer organizations to develop, maintain, and test the programs that the programmers compile. Computer programmers are usually employed by technology companies and software companies. 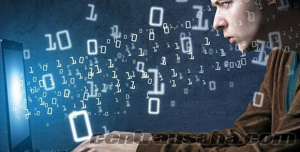 Certainly, as the number of computer programmers increases, many government and private sector companies such as financial companies, banks, law firms and private E-commerce companies have begun to employ the programmers as demand. In 2016, the programmers earn an average of 79,840 dollars. According to the Bureau of Labor Statistics, the bottom 10 percent of computer programmers earn not more than 45,570 dollars, and the top 10% of programmers earn up to 130,360 dollars. So after you read this information of salary, there should be motivation for you. 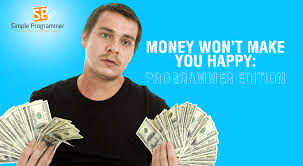 For high salary you should study hard and work hard after you become an eligible programmer.